Where Your Voice Will Be Heard! 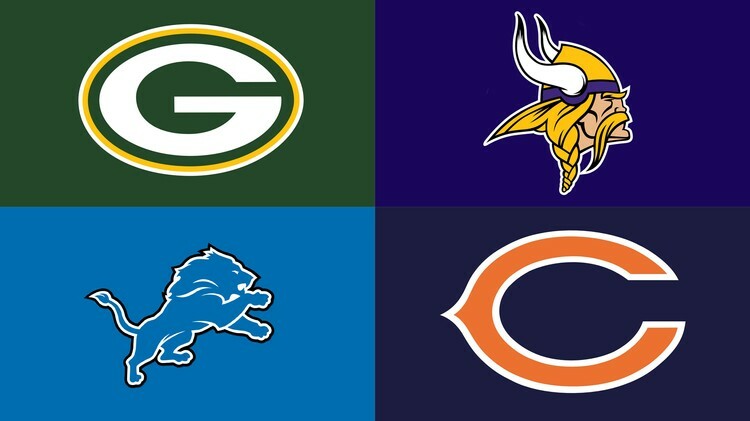 The NFC North got two teams into the playoffs last season. The division champion Green Bay Packers (12-4) came a few minutes away from a Superbowl appearance, and the Detroit Lions (11-5) lost in the first round. This season, I expect the teams at the top to stay at the top, but I believe the gap is closing. Injuries and free agency departures could close the gap even more. The Green Bay Packers were one strong half away from winning another NFC title and appearing in their sixth Superbowl. But in the end the Seahawks were the better team. That loss has been eating away at this team all offseason, and I expect them to come out firing. Packers QB Aaron Rodgers is ready for the season to start, but he will be without his favorite target, WR Jordy Nelson, after a season ending knee injury. Green Bay has struggled on defense the past few seasons, namely in the passing game. That is why they have been drafting to improve their defensive secondary. After picking up Hasean Clinton-Dix in the draft last season, they spent their first two pick on secondary players this year. Their first pick (#30 overall) was Damarious Randall, a Free Safety from Arizona State, and their second pick (#62 overall) was CB Quinten Rollins. This team should be improved on defense, and they will once again compete for a title. The Minnesota Vikings will have superstar HB Adrian Peterson back from suspension and they hope he will be well-rested. Second year QB Teddy Bridgewater seems to be progressing nicely and looks to make major strides this season. Add WR Mike Wallace to a receiving corps that already included the speedy but inconsistent WR Cordarrelle Patterson, and the Vikings could be a high-powered offensive team this season. The Vikings should also make some progress on defense this season. They drafted CB Trae Waynes, the best corner in the draft, in the first round (#11 overall). They spent their second pick (#45 overall) on LB Eric Kendricks, a solid talent from UCLA. This team is making an effort to get better, but they are in a tough division and have a difficult schedule this year. If things work out perfectly for them, they may win more than half their games and possibly compete for a playoff spot, but that is doubtful. The Detroit Lions will miss DT Ndamukong Suh this season. He was a monster in the middle that made other defensive players’ jobs much easier. They hope to replace him with Haloti Ngata because they like people who start their names with weird letter combinations involving “N”. Ngata is a great player, but nobody in the league brings what Suh brough, a combination of toughness, athleticism, and physicality that just cannot be matched in the NFL today. Suh was the anchor of one of the stingiest defenses in the NFL last season. And we know how productive their offense has been. But WR Calvin Johnson has been battling age and injury, and HB Reggie Bush is no longer with the team. They did add Nebraska HB Ameer Abdullah, but I still do not trust QB Matthew Stafford to win big games, and I see the Lions having trouble moving the ball and scoring points this season. Do not expect to see them playing in January. The Chicago Bears hired former Broncos and Panthers coach John Fox as their new head coach, so they will eventually be a good team. Unfortunately, that will not be this year. Jay Cutler (yes, I have finally given up on him) is still the quarterback, and until they change that, they will never be truly competitive. Especially since he will have to do it this season without his favorite target, WR Brandon Marshall, whom they traded to the New York Jets. The Bears were very active in free agency, but did not land any big names that should have an immediate impact. This defense has trended downward the last few seasons, and that trend will continue this season. They did draft WR Kevin White, a dynamic runner who can stretch the field, in the first round (#7 overall), but he cannot fill Marshall’s shoes this season. While HB Matt Forte is a must have in your fantasy league, he cannot carry this offense alone. Expect the Bears to have their worst season in the last decade.